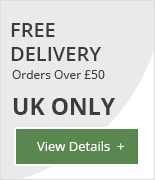 This is a very special offer - Simply attach the irrigation kit to the timer and you have a fully automated garden watering system for less than £40. 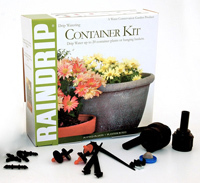 The irrigation kit is ideal for beginners to garden irrigation and drip watering. It will water potted plants, hanging baskets and planter boxes and contains an installation guidebook and everything needed to easily install it yourself. This automatic timer is simple and easy to use! Just press green button to start and red to stop. The time you set and the amount of time set is remembered and duplicated every 24 hours every day there after. Ideal for use when you only need one water application per day. Once set, Pratico comes on at the same time each day for the same duration. Please note, packaging may vary from photograph but contents will be the same as described above. End of line drippers for watering hanging baskets, pots and containers. Position them exactly where you want. I have a flower bed and hanging basket on my patio. I installed the kit within the bed and up to the basket, linked it to the battery operated timer and now the water comes on for 20 minutes twice a day. Brilliant! Don't have to think about it at all and the plants are shooting up.